What do you do when others receive what you have been desperately waiting for? It’s a question I receive quite often and have contemplated myself from time to time. It’s similar to watching a parade. The massive floats and colorful banners are on display. The procession of bands play with precision and on beat. The grand marshals and celebrants wave boldly to those watching. And you are watching all of this activity on the sidelines. The same scenario can be likened to waiting for what God has promised you. This process would be manageable if you only were experiencing the stretching of preparation. But, quite often, the process of waiting extends much farther and wider than we tend to admit. Many times, God will allow you to be exposed to the success, achievements and accomplishments of others — just to see how you will respond. It’s like watching the parade go by. If the truth be told, these questions wrestle with our faith from time to time. Doubt creeps in like a thief ready to rob the treasure of faith. Worry mounts like a brick wall tumbling down. Jealousy seeps in like a suffocating odor. If not checked or addressed, the sin of unbelief will cripple you at every turn. I know the parades of success go by, even those blessings that you’ve been praying for. I know how difficult it can be when others (unintentionally or in some cases intentionally) talk about their blessings at every turn. How do you handle it when you are battling coming to terms with your own waiting process? In our narcissistic-driven culture, we are told to celebrate ourselves as if we are gods ourselves! It’s all about us, all the time. But, if we are to overcome the envy, jealousy or depressive state that comes with others receiving what you’ve been waiting for — celebrate others more than you celebrate yourself! This takes time but it also takes intentionality. I’m not suggesting putting on an act as if you are happy for someone. God does not honor inauthentic presentations. God gets glory when we celebrate what He is doing in the lives of others. Rather than focusing on what someone received (in the right, honorable manner), celebrate the Source! The reason why the “parade of manifested promises” bother many is because they spend too much time harping on it. When you focus on what God is doing through and in you, there’s not much time to languish over what you could have done in comparison with others. The way to focus is to meditate on God’s Word and His promises in His Word. Joshua 1:8 declares “Keep this Book of the Law always on your lips; meditate on it day and night, so that you may be careful to do everything written in it. Then you will be prosperous and successful.” The Word speaks for itself. I’ve personally witnessed others being blessed and promises coming to pass — for the benefit of others! It wasn’t only for them but for those connected to them. This is why we celebrate as well! Why compete when you can compliment? Why give “shade” when you can shed light on what God is doing in the lives of many? 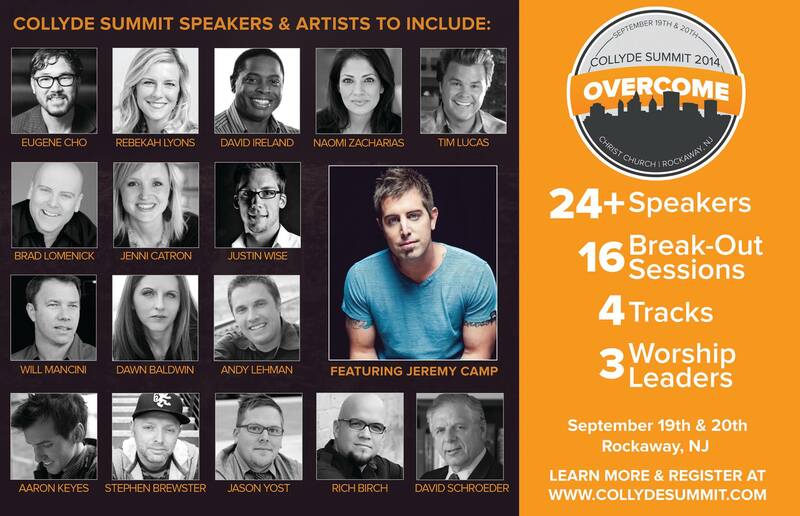 The Collyde Summit Countdown: In 1 Week! BASICconJersey Young Adult Conference (Register Today)!